Try our interactive floor plan to explore and learn about all The Cloisters has to offer. 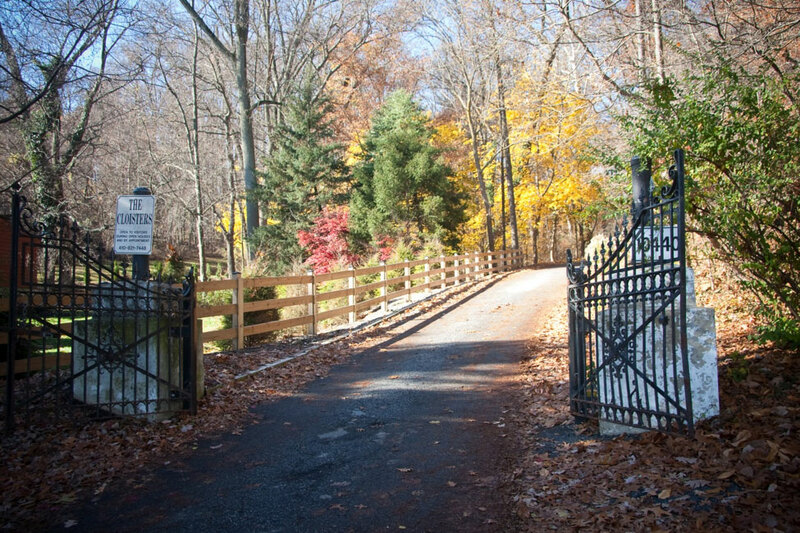 Settled high on a hill in Lutherville among 60 acres of secluded woods, The Cloisters reflects the beauty and grandeur of medieval Europe, with delicately carved wood, exquisitely detailed stained glass, and ornately designed wrought iron. 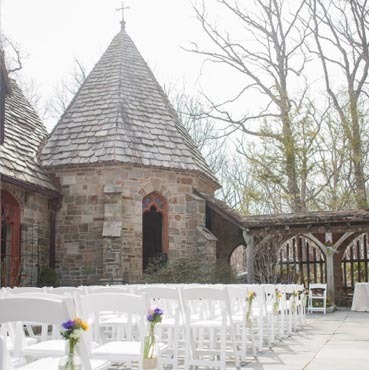 Sumner and Dudrea Parker designed the castle to highlight their extensive collection of medieval artwork and artifacts, and now their masterpiece is available to showcase your special event. Whether you are planning a wedding, a special birthday party, a bar or bat mitzvah, a holiday ball, or a business reception, The Cloisters will provide an unforgettable setting for you and your guests. "I don't even know where to begin! From beginning to end, the entire experience with the Cloisters staff was out of this world..."
Join us at an event or tour the space for your own event. Call 410-821-7448 or 1-888-330-9571 to schedule an appointment.